Very suave. 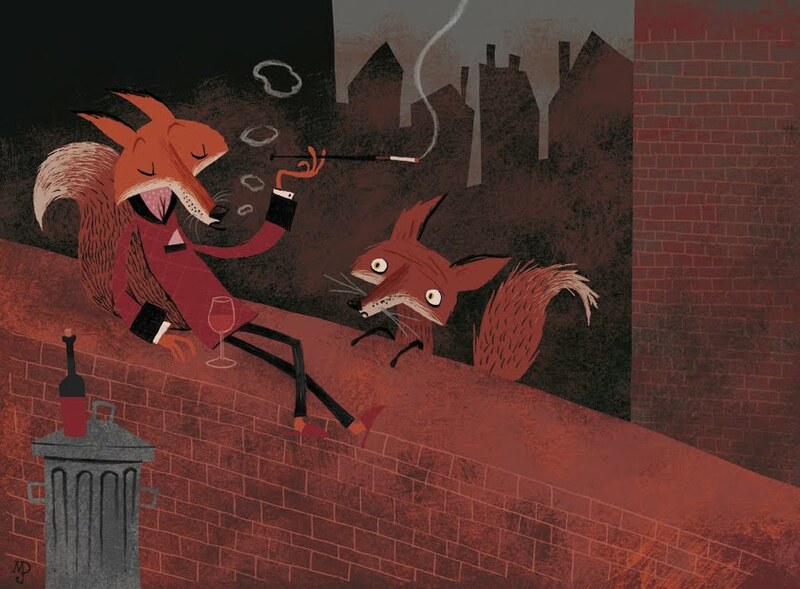 I considered the 'silver fox' for a bit, but this is definitely the way to illustrate the dapper fellow - you possibly missed a trick with a monogrammed 'R' for Reynard on his smoking jacket though... Reynard is definitely the name of an urbane fox! As always though, brilliant work. Lovely artwork Matt! Beautiful atmosphere and great character. My heart is with the under-fox but my head is with the top-fox. Nice one, Matt! Love the characters.